It is time for IPACK-IMA! 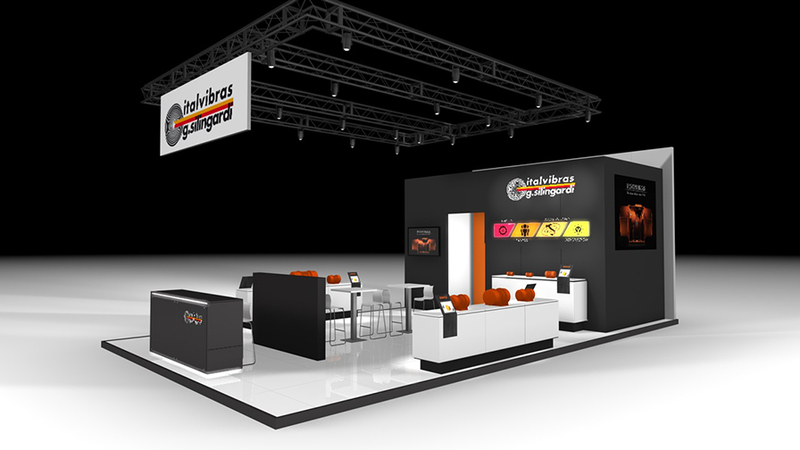 IPACK-IMA is the leading trade fair specializing in food and non-food processing and packaging. The various exhibitors participating in the event, brands and businesses from many different nations throughout the world, provide a rich international flavor. From the 29th of May to the 1st of June at Fiera Milano. To reach the exhibition is very easy: by metro, all one needs to do is to is catch the red metro and get off at the Rho-Fiera Milano stop or, by car, once you have arrived in Milan, one can take either tollway A8 (direction Varese-Como) or tollway A4 (direction Torino). In both cases, one will reach the tollway exit “Fieramilano”.
" We have been present at IPACK-IMA for several years as we believe this Fair is one of the most important events of the year. 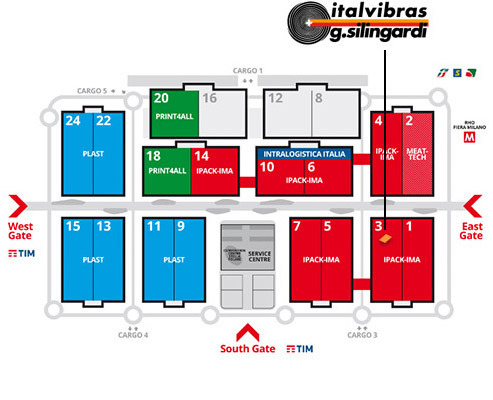 It is always a pleasure to be part of it and even a greater pleasure to have you as a guest at our stand "
Ipack-Ima’s field, as you well know, is that of packaging and processing, an area where there is a lot of vibration/activity/interest and, for this reason, Italvibras strongly believes to have the opportunity with its presence to show its manifold range of products. By visiting us, each client depending on the type of packaging utilized by his/her company, will be able to find support and a solution to his or her needs. Milan is one of the most important trade fair centers at a European level. At the same time, Milan has grown tremendously as a city in the last decade, thus making it one of the most international cities in Italy: A capital of fashion, design and economy a metropolis with its exclusive energy which, putting the world of work aside, contributes to beautiful emotions even just sitting at a table in a coffee bar. He made the headlines for its not exactly economical prices and the refinement of if its courses. Although not a typical Italian restaurant, it is definitely an experience to try. Located on the third floor of the Museo delle Culture, in the heart of the design district, the strong point of restaurant is its endless experimental cuisine, which blends tradition with innovation to create new flavors and feelings towards exceptional food. Luxury hotel located in an eighteenth-century building with a magnificent garden. Its bedrooms are characterized by their size and elegance, the exact metaphor of the brand which they represent. Literally a few steps from Galleria Vittorio Emanuele, this hotel has a luxurious structure and a gorgeous Spa, a relaxing oasis which is the feather in the hat of this beautiful hotel. A national gallery of antique and modern art, the Pinacoteca is situated in a beautiful building and which was officially established in 1809. It houses over 24,000 works of art, some of them incredible masterpieces. Piero della Francesca, Raphael and Francesco Hayes are just some of the prominent names at the exposition. Masterpieces of the twentieth century are hosted inside the Museum, located within the Palazzo dell’Arengario in Piazza del Duomo. The cutting edge of the collection are many interesting items, starting from the Quarto Stato di Giuseppe Pellizza da Volpedo (The Fourth Estate) to stunning paintings by Pablo Picasso, ending with Futurism and a special exhibition dedicated to the avant-garde movement which was founded in Milan. In between all of this, there is much, much more.